We sell a lot of reptile livefood. 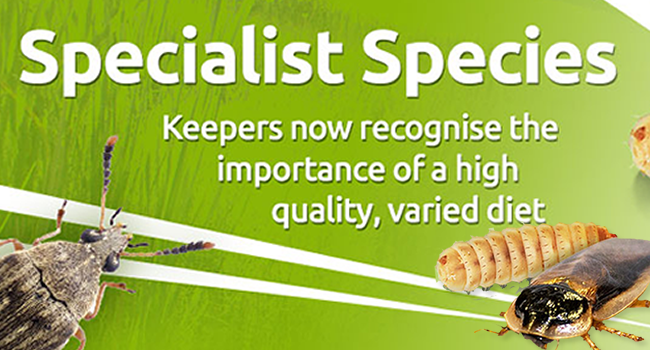 In fact, we sell more reptile livefood than anything else on our website. So here’s a quick list of 10 livefoods that we really like and use in our Northampton store to feed to our reptiles. 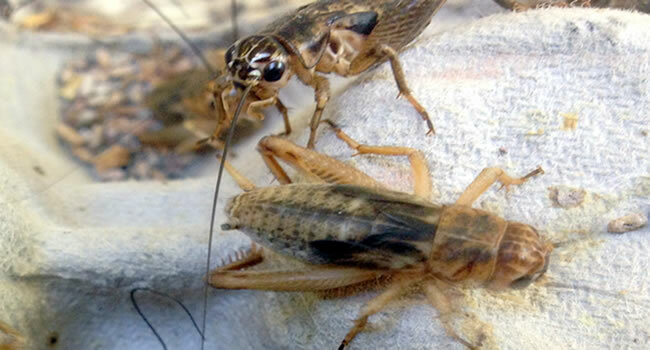 Silent brown crickets are one of the most popular reptile live foods on the market. Not only are they nutritionally rich they are also widely available and relatively inexpensive. As they are marketed in a range of different sizes they may well be the only live food you will need to use with your reptile. 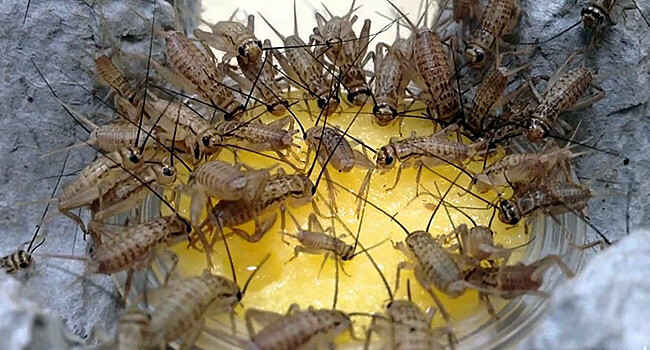 Silent brown crickets are the live food of choice here at Northampton Reptile Centre and we feed the to all of our geckos, dragons, and basilisks. 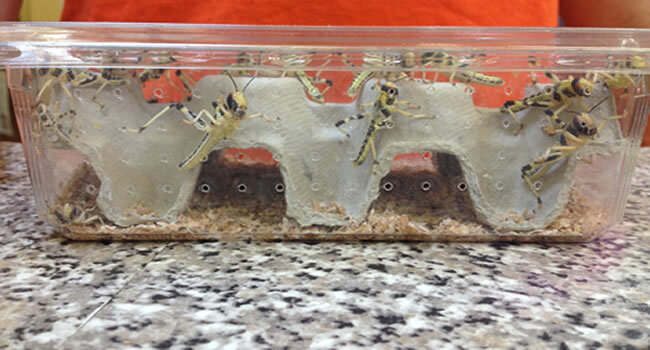 Locust are a close contender as the most popular live food on the market. 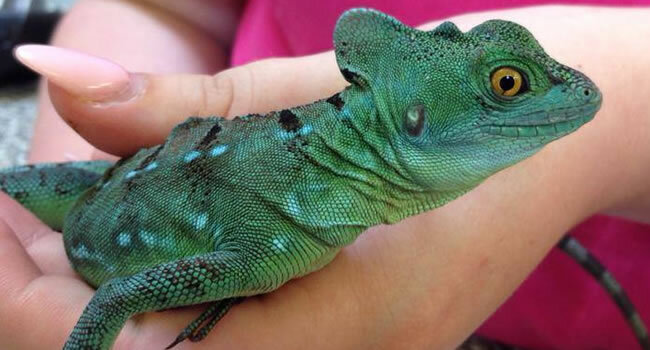 As they are vibrant in colour and highly active they are a great live food to arouse interest in your pet reptile. Bearded dragons and chameleons in particular seem to revel in catching these little insects. 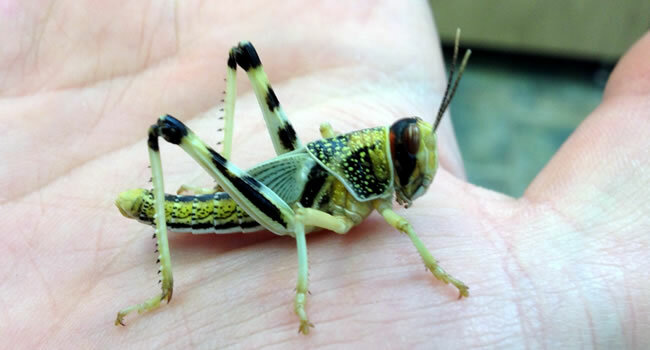 They are relatively inexpensive and as widely available as crickets, nutritionally they are great as the staple of a reptiles diet. We tend to feed them to our chameleons as the vibrant colouration on the large and extra large locust make them an easy target. Mealworms are one of the most popular additions to a live food diet. 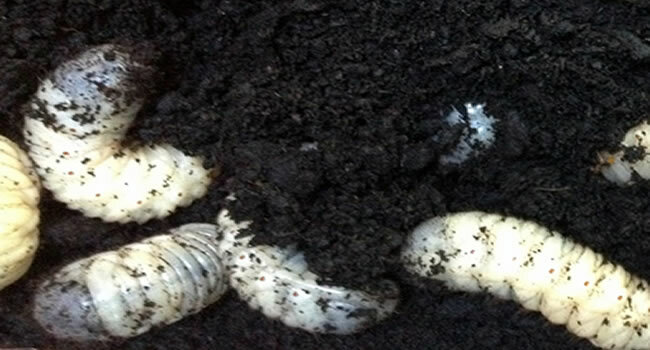 These small worms have a great moisture and protein content and can be fed to many reptiles. 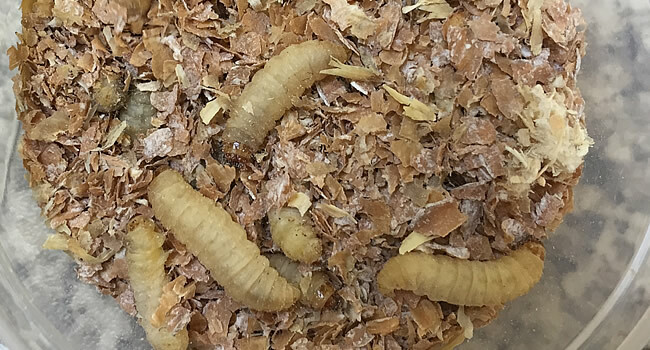 These little worms make a great addition to a varied diet and as they are relatively small you can put them in a mealworm feeding dish and not have to worry about them getting out. 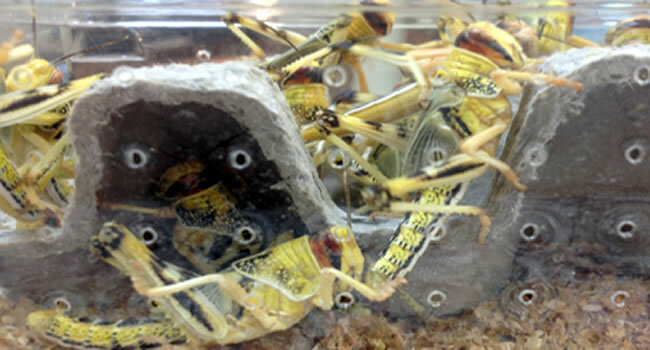 We tend to use these in store as a treat for our juvenile reptiles and amphibians. 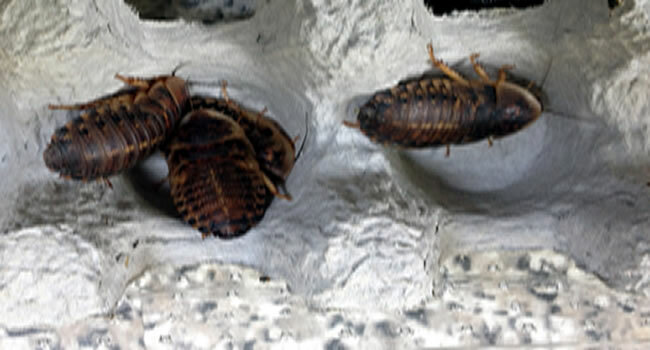 Dubai cockroaches are rich in nutrients, moisture and protein making them a brilliant treat for a wide range of reptiles. These are essentially the steak of the live food world and can make your little friend very happy. 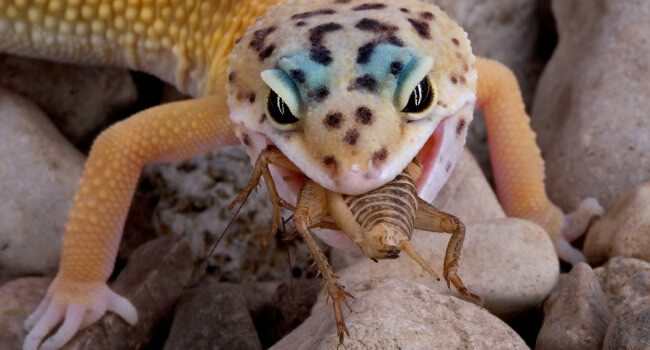 Very occasionally we will feed cockroaches to our skinks and bearded dragons and they are always a well received treat. As they come in many sizes from just 5mm in length to adult they can be used with many reptiles of different ages and are great to spice up a varied diet. 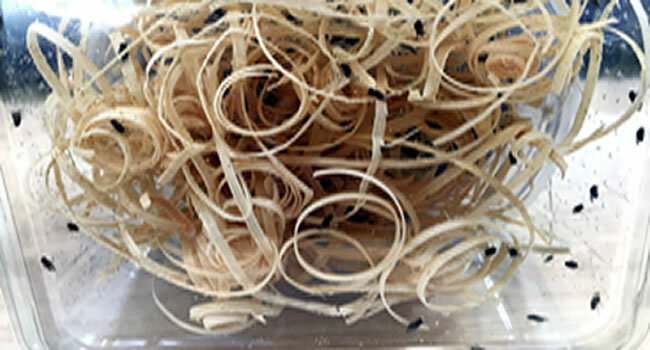 Calciworms are a fairly new product and are rapidly becoming extremely popular in the pet trade. Much like mealworms these worms have a great protein and moisture content but with the added bonus of having a high calcium content as well. For reptiles that would usually require calcium supplements these little worms are a great addition to a varied diet. They can also be fed to animals with calcium deficiencies and help as another way to ensure your pet is getting its required calcium content from it’s diet (they are not a substitute for calcium supplements though). We would mainly be using these with basking reptiles like our bearded dragons in addition to their normal salad and crickets. Fruit flies are really the live food which keeps giving, a small culture contained in a box with a small opening is a brilliant addition to amphibian enclosures. The culture will hatch over the course of 3 weeks or so providing live food for all of that time. If you place a small slice of fruit in the enclosure the flies will feed, breed, lay eggs and you can repeat the cycle all over again. They are great for small frogs and toads as well as newt and other small amphibians purely due to the longevity of the product and how inexpensive it is. Though quite small these flies are full of nutrient and as there are so many you can be sure that your pet has all he/she can eat. 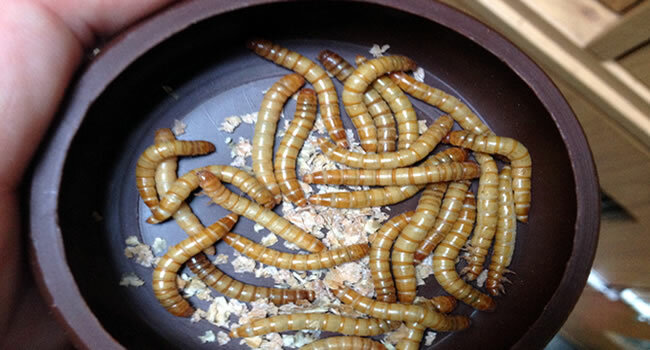 Wax worms are a very popular treat for many reptiles due to their high nutrient and fat content. 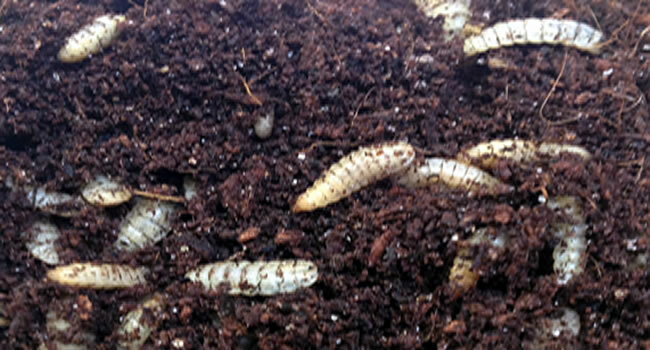 They are small white soft bodied larvae that are great for feeding to a range of small reptiles and amphibians. Waxworms are a definite favourite of bearded dragons and if presented a small bowl of them you will see how much your bearded dragon enjoys them. We would only use these as an occasional treat due to the high fat content but the waxworms are always well received when we offer them. 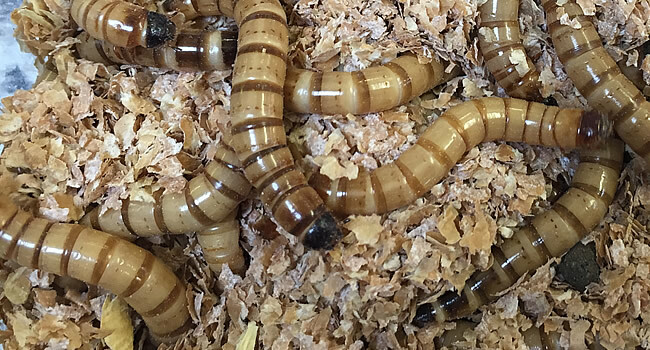 Morio worms have become very popular with reptile dragon and skink keepers as they provide the same nutrients and all of the benefits of a mealworm in a bigger package for your reptile to enjoy. Not only are these worms great nutritionally but they have a good moisture content and provide a nice crunchy meal for your reptile. They are definitely in the top 5 most popular reptile live foods and make a great addition to the regular diet of your pet reptile. Fruit beetle grubs are slightly lesser know addition to a reptiles diet but have a massive nutrient, moisture and fat content. These are essentially a bigger version of a wax worm and would be the reptile equivalent of a chocolate bar. These grubs are great for use as an occasional treat for adult dragons, basilisks, skinks and chameleons. They are quite soft to the touch and substantial in weight and size making them a really big treat for your pet. 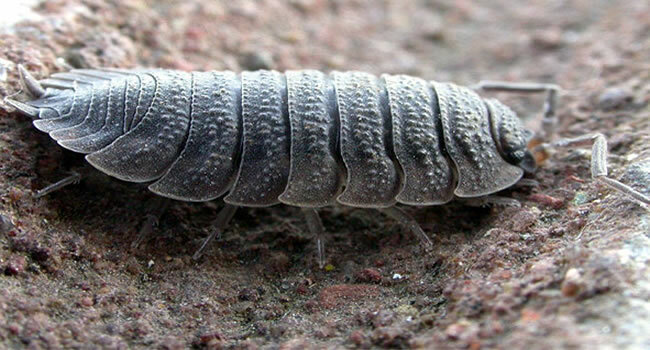 Woodlice are a relatively new addition to the reptile trade and have had quite a successful debut in the store. They can be used as a food for smaller species of reptiles and amphibians in forest type set ups. They eat any type of organic material and in the right bio-active set-up, they will breed prolifically and provide an ongoing food source as well as serving as part of the clean-up gang to consume waste and recycle nutrients. So this is truly a self sufficient cleaning and feeding machine for your enclosure.